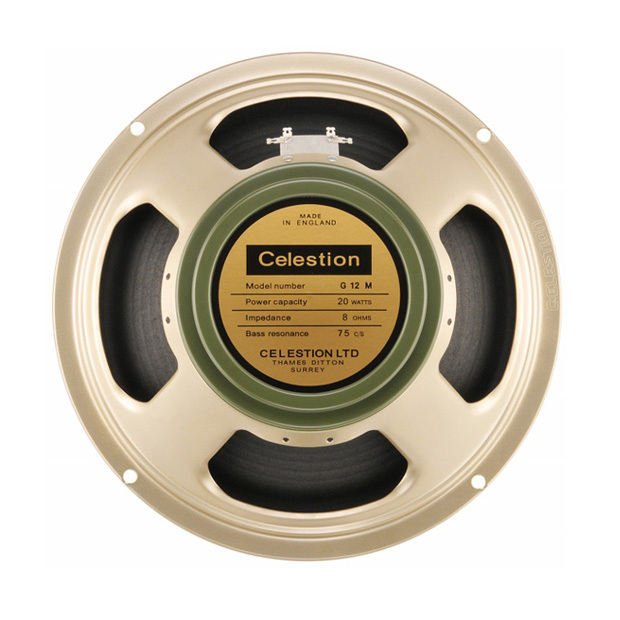 Discover the warm, vintage tones of the Celestion Heritage Series G12M at home, in the studio, or live, in a 2×12 open back arrangement. The original Celestion G12M speaker was used in many Marshall cabs including the iconic Marshall 1962 ‘Bluesbreaker’ amp, so if your aim is to recreate some authentic ‘60s Clapton tone, the Heritage G12M open back 2×12 cabinet IR has to be your go-to option. In this 2×12 open back cabinet option, the Heritage G12M has been sampled using 3 well known studio quality microphones (Shure SM57, Royer R-121 and Sennheiser MD421) in six different positions, resulting in a range of distinct tone options which can be selected within your DAW or amp modeller as Balanced, Bright, Thin, Fat, Dark or Dark 2. For this open back cabinet option there is also a seventh mic placement, at the rear, which can be used on its own or mixed in with other IRs. The pack also contains three room mic recordings, using a Neumann TLM 107, with Left, Right and Stereo options, as well as 8 microphone mixes (SM57+R-121, R-121+MD421 etc). All IR files are provided in .WAV format for compatibility with the majority of plugins and amp modelling software.